After defeating the hobgoblin threat, Oren is now faced with an even more tenacious enemy: the players themselves. His old guild have discovered his village's location and a deadly strike force is closing in. 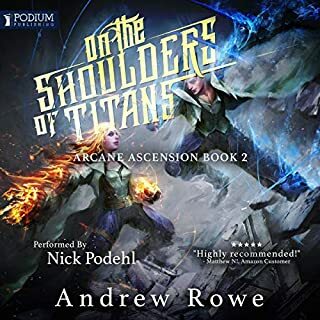 With time running out, Oren must build up his clan and recruit an army of monsters if he's to have any hope of withstanding the coming attack. 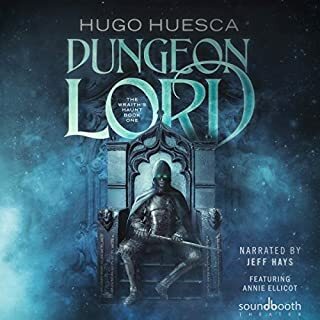 The Heroes of the Militant Church, led by Inquisitor Gallio, scour the forest in search of the Haunt, while Ed desperately attempts to uncover the secret behind the Heroes' origin. 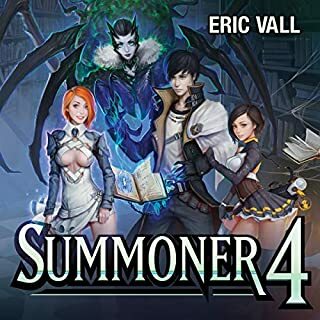 Can Ed and his friends defeat the Inquisition and secure their own place in the world, or are they destined to become the monsters of their own tale? 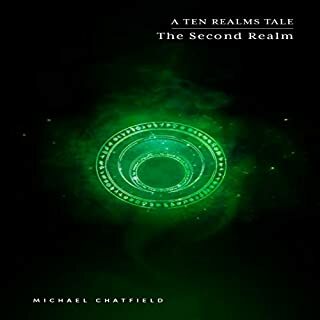 After receiving a request for aid from a beautiful and mysterious messenger, Lee and his inner circle travel to nearby Birnefeld, a large and prosperous city ruled by the dragon king. 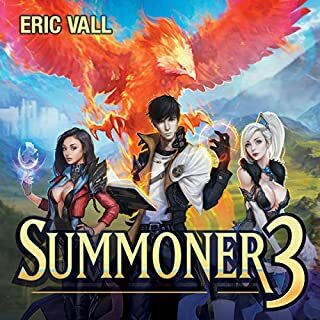 Before he ever arrives, however, Lee encounters a group of marauders ransacking the countryside, meets a strange new herald who has set up camp in the region, and receives the dire news that the hero Brigid of Kildare has gone missing. To make things worse, a powerful new enemy is stalking him from the shadows, toying with his dreams, and striking at his closest relationships. Reluctant ruler of the settlements in British Columbia, John and his friends must now face even greater dangers as they seek to free other human settlements from Galactic control in North America. But John's enemies have begun to take notice of the burgeoning resistance and take steps to stop him and the human resistance including bringing in Master Class help. Can John navigate the treacherous waters of Galactic politics and human interests without compromising his beliefs or sacrificing his friends? Powerful necromancers are on the move, and Cal is caught in the crossfire. Without his faithful Wisp, Dani, Cal's mind slips, and he begins creating traps and monsters that go against his already loose morals. After a direct threat from an unexpected force causes Cal's mind to stabilize, he throws all of his resources into keeping his thoughts clear while he funds searches for his lost companion. this is a must buy! Jack is out for blood. After being manipulated by his family most of his life, and believing an even worse lie for the past few years, he has finally learned the truth. Now that he knows what V-Soft has taken from him, he’s going to take everything from them, even if the country is destroyed in the process. The plan is to strike from all sides, so that those who still live can watch their lives, and their life’s work be reduced to ashes. But in digging their grave, will Jack wind up buried alongside them? Both Cal and Dale have become stronger, each in spite of the other. The dungeon - Cal - knows exactly how much their strength has increased, and is working hard to become exponentially more powerful. His schemes are becoming more complex, and his dungeon - his body - more deadly. Dale has a nasty surprise waiting for him as he works to thwart the plans of the devious dungeon. Hearing a voice in his head that distracts him in critical moments, he must fight his mind as he battles deadly creatures. In an academy that trains people to deal with monsters and mayhem, there's one challenge even Gryff may not be ready to face: final exams. On the plus side, he'll capture a giant armored monster and get to ride around on its shoulder while the beast smites things with its sword. When is the next one coming?! wow!! I am impressed wow! more please!!! 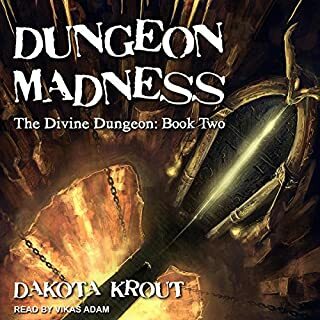 Dakota Krout presents the second book in The Completionist Chronicles series. Dakota builds a world you long to exist and is attainable with a real life feel. Excellent storytelling and performance! 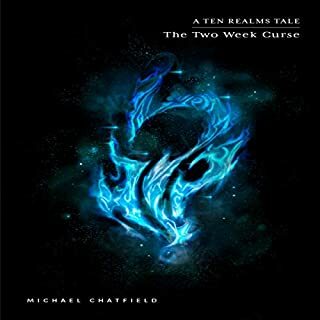 I highly recommend this book to all fantasy and gamer fans. There were fewer distractions and less random tangents than the first book, which I did enjoy. However, some of the pacing felt a little all over the place and when the time crunch was on, it lacked a sense of urgency. Still, a very good listen. Would recommend. Looking forward to more. 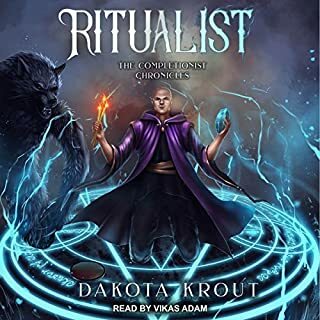 #audible1 holy this book was amazing, if you have ever read ritualist book 1 or any of dakota's other books i totally recommend this one. 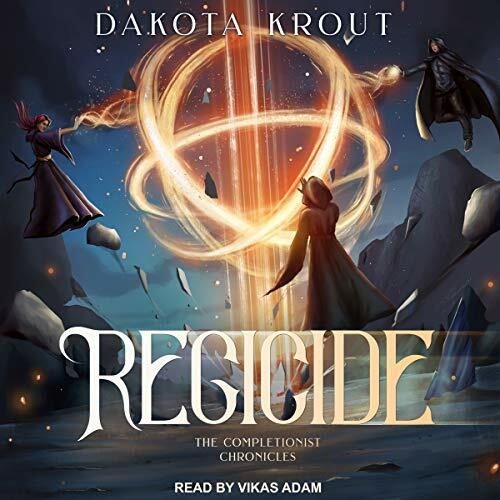 Dakota Krout's Regicide crowns him as the now and future king of litRPG. The Completionist Chronicles rules using everything we love about the genre: fun characters, playful writing, and exciting fantasy violence in a fantastic world we're always excited to learn more about. 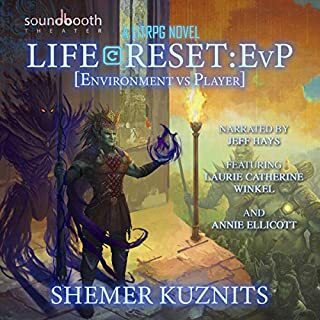 The plot advances quickly while keeping the character sheet lists that slogs listeners in other litRPG audiobooks to the minimum needed. 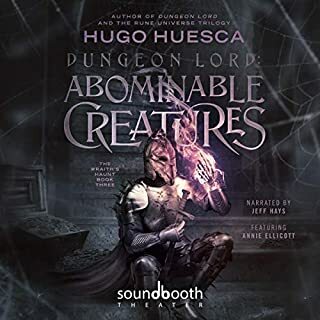 The new characters are likable, and I especially enjoyed Jackson, whose low charisma laughs make him the spiritual child of Robert Bevan's Half-Orc character 'Cooper,' but with less body fluids. The pacing of this book is the best of all Krouts work so far, things move quickly without pages wasted on travel or character sheets that haven't changed much since the last time they were read. (with the exception of 2 moments where Vikas Adams does a great job of saying "asterix" three times fast. 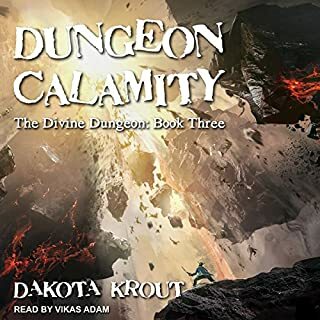 This is my fifth pairing of Vikas Adam's voice with Dakota Krout's work, and possibly the best yet. Krout's writing continues to get better and better, even though he started with such an amazing book. In the same vein, Vikas' interpretations of the characters brings them to life like noone else ever could. Regicide is the second entry in the Completionist Chronicles, and has amped up the story since the first. The characters are phenomenal, the writing clever and witty, and the story itself is unparalleled. If you enjoyed the first, this is definitely worth continuing. 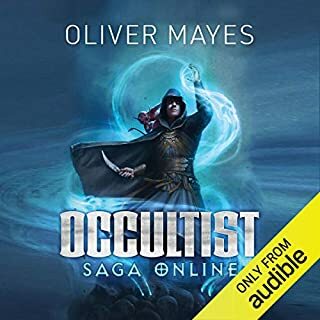 If you've come across this review and havent listened to the first book (The Ritualist), I cannot recommend it enough. I connect well with the character with little to no effort. often finding my self consumed by the story and narration. Riding the highs, laughing at the puns, raising blood pressure with the woes and foes of Joe. He is giving me allot more than an inch! If you have already listened to this book then you no doubt recognize my headline as a paraphrase from the book. You are probably also rolling on the floor laughing right now as you remember it. Definitely my favorite moment in the whole story but it was a really hard choice. This book is an absolutely exceptional sequel and every bit as good, maybe even better, than the first book. It has moments of seriousness expertly broken up with just enough comedic antidote to keep the book light and fun. Also, i am usually good at predicting events but the surprise twists in this book blind sided me at least 6 times. 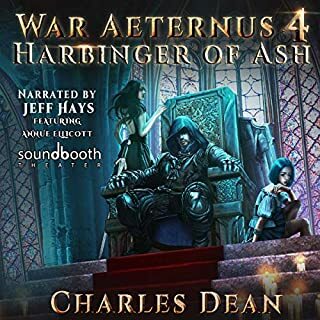 I was up till 2 in the morning last night finishing the book and am listening to it again now as i right this review. If you liked the first book you will love this one and you too will want allow more than an inch. ROFL!!!! Kill the King? I don't think so . . . . The great bald chronicler of all things occult has returned, and the world is better for it. 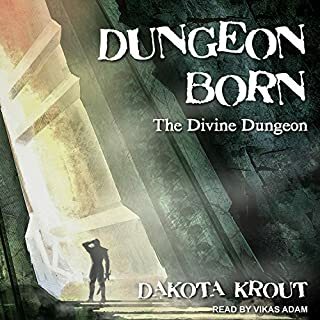 Again, I curse Dakota Krout for putting out such excellence instead of the Divine Dungeon. 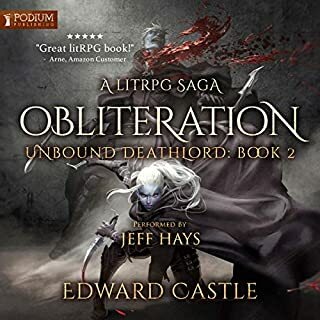 It irks me that he has created another series so addictive that I had to create a ritual that signaled that it was time to start reading this book. Honestly, I always hear if you had to pick one gameworld to play in, which one would it be, and I would choose Krout’s setting for the completionist chronicles. There are ton of options, and everything is boosted by your real life skills so a chiropractor becomes a fearsome warrior based on his knowledge of anatomy, pressure points, and nerve clusters. Joe, the main character, decides to start up his own little group and to do so he dirty dozens the hell out of potential guildmembers who were turned down because of their od proclivities. Each person that he hand picks for his personal squad is an oddball in someway, but they are all interesting and unique characters and for a ragtag squad of weirdos they work really well as a team. I think that my favorite way that Krout worked the attribute of charm in the game was amazing. It made total sense and was a hilarious consequence of having such a low score. For me that was the best part of the story. It was a small almost throwaway bit, but it worked and had such an impact on our favorite Crackyerbackter that it just stood out like a firework in a coal mine. I also appreciated how nothing in the game is just given over, Joe has to work just to be able to learn how to, for example, create a scroll. Additionally, I also felt that the way he stole temples was a nifty idea and was glad to see him actually employ such tactics. There were a few things that I was not a fan of, for example, the town that became a dungeon sequence did not fly well with me. I don’t know if it was because of the constant failures that the group encountered or just the format of the story itself. It just seemed very clunky with beary a pun that was fun, that made me have to grit my teeth and bear it though most of the bear bones of the battles. Truthfully, this was the only real part of the book that I had a hard time getting through. It just sort of stalled there. One of my favorite sequences involved Joe creating an artifact level building. It was fun even if there was no “fighting” involved. I would have enjoyed more research or meeting up with the fellow who sold him his brains in the first book, that looked like an interesting path, but alas Dakota did not follow it this time around. Several developments that were also enjoyable were that we got to see a bit more of Joe’s mother, and that not everything in the guild is all apples and rainbows, it’s more like A-holes and raisins. This strife led to a great confrontation, and Joe doing some things you didn’t expect. Oh, and the title of the book juuuuuuuuust might be a little misleading. You’ll get the title at the end of the book. Vikas Adams continues to please, amaze, and astound. I think that he works so very well with Krout that they are an unbeatable team. Truly, Adam’s voice is versatile and is able to run a range of emotions, and carries such depth that he elevates the book to a whole new level. I enjoy listening to him a great deal. I’m going to give this an 8.4 rating. 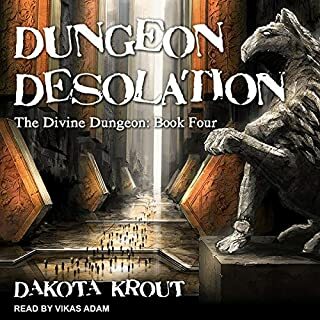 I enjoyed it, but felt that Krout’s dungeon sequence did not fit in well with the rest of the book. It just felt like he needed something to let the team fight together, but it just didn’t click like it did in other areas of the book. Overall another fantastic job. Anybody seen my socks? They are were knocked off by this book and I still haven't found them yet. Seriously though, this is a continuation of one of my favorite new series, it's funny and the writing is solid. It can be a little dark since the main character can be a little amoral but nothing crazy. And the book avoids one of my pet peeves about books but especially the LITRPG genre, over sexualized characters! No dumb fantasy harems, every woman (or man) doesn't immediately want to screw the main character, no Author fantasies ruining a perfectly good scene. I am super eager for the next book, I highly recommend this series. Nice addition to the series. Kinda ends abruptly. the main character is overpowered like always. Oh look, you did a spin in the air. Couldn't have loved it more! I thought the first book was amazing, but this one managed to be even better. I'm pretty depressed I found this series before it was complete because it's going to be torture to wait for the next book, even though it didn't really end on a cliff-hanger. Anytime you think the book is focusing on one thing for too long, it immediately switches to something else. As always, the audio was also great and highly entertaining. I can't wait for the next book in this series! If you enjoyed the first book you will enjoy this one too. I'm a big fan of Dakota Krouts work and books like this one are the reason. I don't feel like this book was as good as the first but its still really good. I do feel that there were a couple plot holes introduced into this book (ex Joe needing to keep his class a secret in order to reap the perks) but we will see if the next book resolves those. I am curious to see if this series ties into Dakota's other series. Only time will tell. The author does a good job of keeping things fresh and one way he does this is by introducing new characters. He also does a good job of bring back old characters here and there. 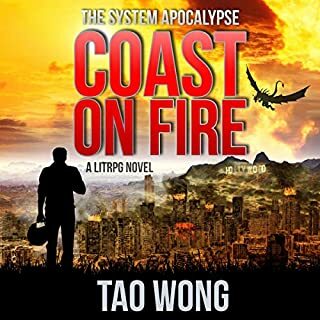 As with his other books he does a good job of keeping the story moving along, there was maybe one spot in the story that I felt dragged on for a little to long but nothing so bad to impact my enjoyment of the book. A solid addition to the series. I love Dakota Krout's wit and unique form. This isn't Shakespeare, but it is solid. The end sort of rushed up on me and seemed a little disconnected from the majority of the story's beginning and middle. 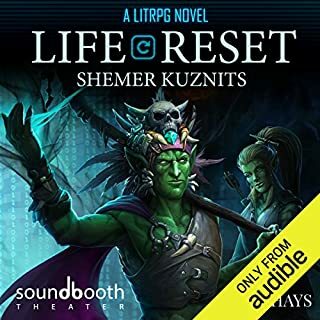 But this is LitRPG after all and is more akin to non-linear gameplay, loosely following a main quest. If you are a Dakota fan, this is a great book. If you are a Dakota fan and are familiar with Vikas Adam -- you know no one can tell a Dakota story quite like Vikas. He is fantastic!